LONDON — British actor Roger Moore, who played James Bond for more than two decades with a suave wit, died Tuesday aged 89, drawing tributes for his portrayal of the womanising super-spy, and for his charity work. "It is with a heavy heart that we must announce our loving father, Sir Roger Moore, has passed away today in Switzerland after a short but brave battle with cancer," his children said in a statement on Twitter. "We are all devastated," Deborah, Geoffrey and Christian said. "Thank you Pops for being you, and for being so very special to so many people." Moore shot to fame as the smooth-talking adventurer Simon Templar in British television show The Saint in the 1960s, and also starred alongside Tony Curtis in The Persuaders in the 1970s. But it was not until 1973, at the age of 45, that he won the role that would come to define him, as Ian Fleming’s fictional secret agent James Bond. His debut as 007 in "Live and Let Die" was followed by six more Bond films, bowing out with 1985’s A View to a Kill. Known for his ironically raised eyebrow and deadpan quips, Moore’s take on Bond was more tongue-in-cheek than that of his macho predecessor Sean Connery. "I’m not that cold-blooded killer type. Which is why I play it mostly for laughs," he once said. But with seven appearances as the character he fondly called "Jimmy Bond", he outgunned Connery and all the other actors to have played the role. Fellow Bond star Pierce Brosnan, who portrayed the agent in four films from 1995 to 2002, described Moore as "magnificent". "You were a big part of my life," Brosnan said on Instagram. "You were a magnificent James Bond and one that led the way for me, the world will miss you and your unique sense of humour for years to come," he said. In later years he became known for his humanitarian work, notably through his activities as an ambassador for the United Nations Children’s Fund. Moore’s children said he considered the UNICEF work — for which he was awarded a knighthood in 2003 — his "greatest achievement". But acting was never forgotten. "The affection our father felt whenever he walked onto a stage or in front of a camera buoyed him hugely and kept him busy working into his 90th year, through to his last appearance in November 2016 on stage at London’s Royal Festival Hall," his children said. 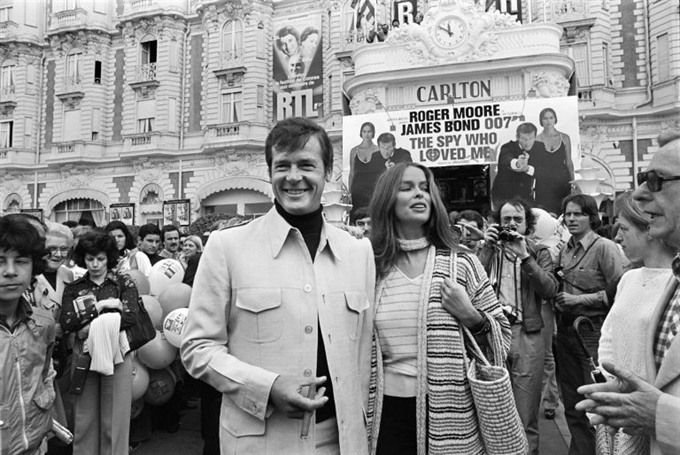 Born Roger George Moore, on October 14, 1927 in the south London neighbourhood of Stockwell, he was the only son of a police constable and his wife, and had a happy childhood. "I’ve not done badly for a boy from Stockwell, where I used to gaze at the silver screen in wonderment, little realising I’d be a part of this magical world," he wrote in his autobiography, My Word Is My Bond. Debonair and self-effacing, Moore had found his own humorous way to sum up his last appearance as Bond, which came when he was 57. "The girls were getting younger and I was just getting too old," he said at a ceremony to award him a star on Hollywood’s "Walk of Fame". Paying tribute, Oscar-winning actor Russell Crowe remarked on Twitter: "Roger Moore, loved him." Actress and activist Mia Farrow tweeted: "Few are as kind and giving as was Roger Moore."